In an aggressive marketspace and saturated marketplace it was important to evolve the brand visually into something that really stood out, something its customers would remember and attribute a real strong memory to customers. We did this through a bright, playful design accompanied with a swirl ident to give the site a cohesive feel. 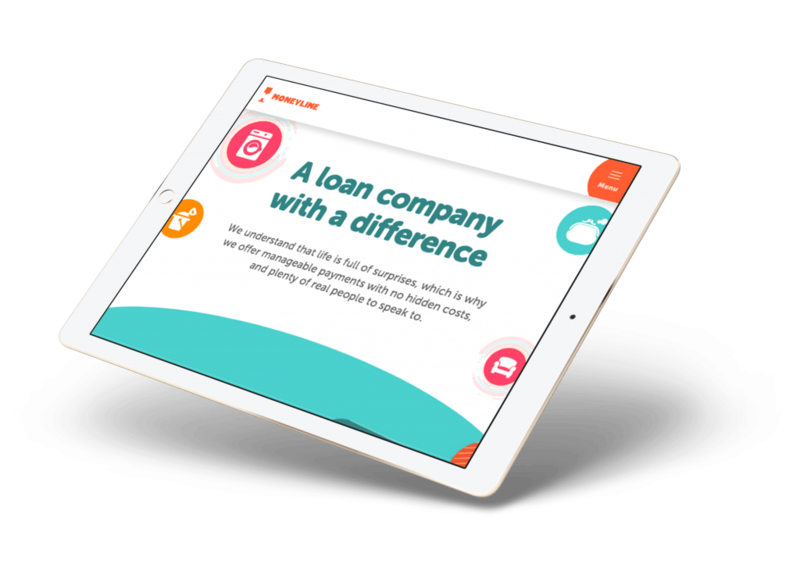 Visually standing out was also just one part, being a social lender it was important to tell the story of why Moneyline are different from other loan companies. Through a mix of APR comparison, evolving the story in very simple layman’s terms “how it works” and a simple FAQ, enabled us to quickly and easily educate personas of user with what makes Moneyline different. Technically as with all Soap clients, that digital transformation was a large part of the project – effectively evolving a business model making use of a variety of digital tools and connecting those together to allow for more intelligent customer view. In this case integration into CRM whilst complying with GDPR – implementing automation rules allows Moneyline to provide better customer service whilst at the same time reducing administrative overhead. We have worked with companies representing a great variety of sectors that you might be also interested in.